As fans wait for news of Clay Aiken and his new CD, a new class seems to be forming. Titled Speculation 101, the members learn to take small bits of information to formulate a hypothesis and use supposition, conjecture and plain guessing to reach a conclusion or opinion. 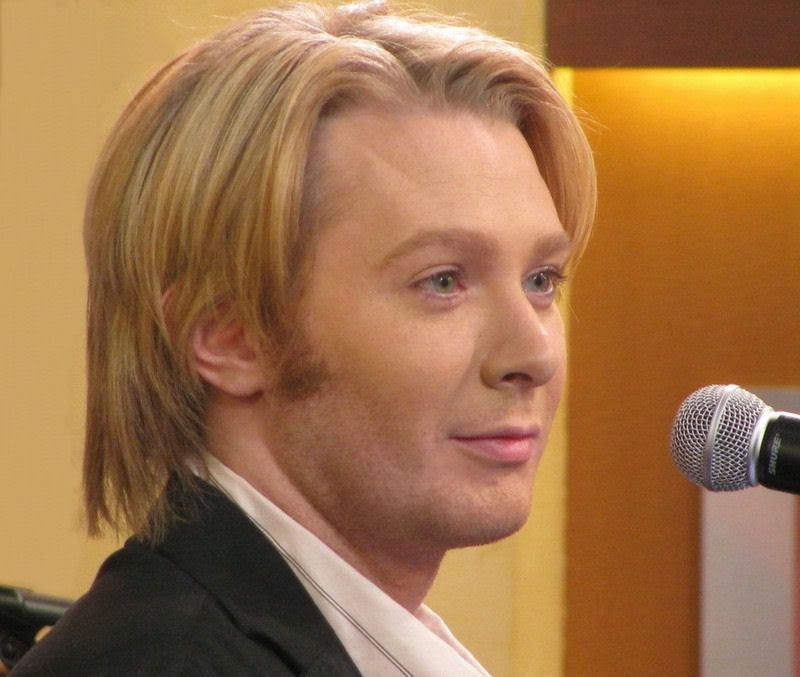 Today, the lesson was on Clay Aiken’s hair. What would it be like when we see him again? Color, length, sideburns, and style were all a part of the curriculum. The following conclusions were formed. Clay’s hair will be natural. What do you think? What will be Clay’s next hair style? I hope his hair is very natural and semi long. 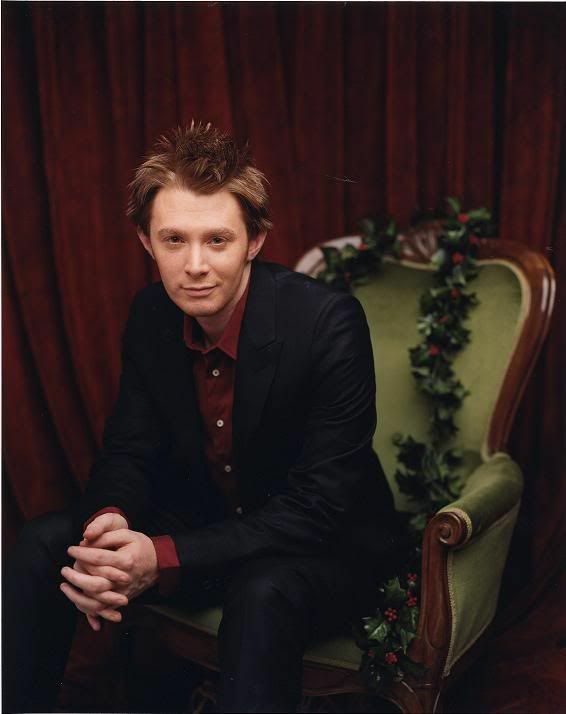 I don't think he's ever been more handsome than the Christmas tour 2007. I'd love to see his hair kinda like that. But as long as we get the cd I wouldn't care if he were bald. I love how Clay always changes it up….. Truthfully, to me….It doesn't matter….As we have always said…if we're not thrilled with the colour or style…don't worry, he'll change it…He always does… The most important thing is that Clay will be back, and I can't wait for the promotion, shows, and music……BRING IT ON CLAY!!!!! WE MISS YOU…. Anyway he wants to wear it, but I sorta like the slicked back version! I prefer the Idol look since it makes him look younger and hotter, but I guess anything but the long blonde hair works for me. It made him look a lot older than he really is. I like him looking young! But…the most important thing is return of the amazing music!! Sophisticated Clay gets me every time, love the photo from TV Guide (which would be the slicked back look). I also love the wind blown look from the UNICEF Snowflake lighting ceremony – great length and color. I just need to HEAR the man!! Cannot WAIT!!! I always loved the slicked back look! I just like to look at him!! He'll probably have the hair style we just saw on the recent David Foster when he surprised us and sang Unchained Melody. You know, the one where he said, "CRAP!" He was so cute there! Can't wait to hear him sing again!! Go ahead Sandi and put it here on CANN so we can see it!! Sue, was there one you didn't like? Can't says I blame you!!! Frankly, I don't care what he does to his hair (or rather what they do to his hair). He looks cute all the time. Although the blonde look makes him look a bit older. I like long and dark. Looks really nice. If it's short and dark he'll look like Zac Efron. But after all these years, I just want to hear his voice. Been aching for Aiken too long. I would like to see his hair long when he comes back to see us again…but, I have a feeling it will be like it was on American Idol, because that’s how he has been wearing it lately. But, if he does have it long…please, please, get a professional stylist to do it. I also loved..loved..the blond hair. I didn’t think he looked older at all. He looked gorgeous..especially on the GMA performance. Sigh! The AI 5 look does it to me every time but I'll take any old look, as long as we get some Clay … any day, any way! I hope I never see that mohawk look ever again. I'm not too picky with how Clay's hair looks. He's had several great looks over the years–all very different. I do like that wind blown look, but who can guess what Clay will choose? I liked his hair on the Tara show and also on the last album cover when it was blond. Error: Error validating access token: Session has expired on Tuesday, 21-Aug-18 16:13:01 PDT. The current time is Thursday, 18-Apr-19 21:43:29 PDT.